We visited Driftwood Estates on a beautiful sunny day this week. It had snowed a little bit during the previous few days, unusual for the west coast, and the mainland mountains glistened in the sun with the new snow – it truly was spectacular to see. If you chose to buy an ocean front lot on Vancouver Island, this would be your view from your custom home at Driftwood Estates at Saratoga Beach on Vancouver Island. 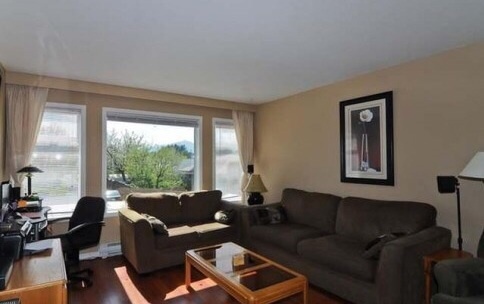 This ideal location is located between the communities of Comox and Campbell River. Other new homes have been built here and the residents enjoy the ocean front setting, with the views of mountains and the year round abundance of sea life and birds. From this location, you will see eagles, herons, trumpeter swans, Canadian geese, ducks, and of course seals, sea lions and the occasional pod of orca whales. This is also a preferred location to fly fish from. Local fishers have been coming here for years. Of course, if you prefer to engage in some boating activity, Pacific Playgrounds Marina is only a few minutes away, and you can launch or moor your boat from this location. This is truly a beautiful piece of Vancouver Island real estate. There are only four lots left in this private subdivision, located on a cul-de-sac. Phase II of Driftwood Estates has only four lots left, priced at $479,000. Visit the Driftwood Estates website for lot availability and site information, or call 1.855.886.2121 You can also contact realtor Ed Handja at 1.800.563.7322. A new subdivision in Courtenay, called The Ridge is offering new lots to choose from that can have a custom home and a detached garage, workshop secondary suites or a carriage home. Detached garages and workshops are becoming more attractive to new home owners wanting a separate workspace, or a larger garage for storage. When you choose a new residential lot at The Ridge, you can build a custom home that allows for the addition of a workshop or garage. The garage can also be used for a studio or home office. Prices of the lots start at $169,900. Come and take a look at the mountain and ocean view lots for sale. Once you choose your lot, you also choose a floor plan and build your custom home from one of our preferred builders, Lawmar Contracting or Brando Construction. The Ridge, in the Comox Valley on Vancouver Island, is located minutes from the beaches, downtown Courtenay, shopping, restaurants, Crown Isle Golf Course , Mount Washington, the Comox Airport and many other amenities. Every Saturday from 1:00 p.m. to 3:00 p.m., drop by the open house and view the beautiful new bungalows/ranchers at The Ridge at RiversEdge in the Comox Valley! The Ridge at RiversEdge is a new residential community located in Courtenay on Vancouver Island. Fringed by the Puntledge River, The Ridge at RiversEdge is a unique development in which each new rancher/bungalow is perfectly suited for its individual lot, yet still complements neighbouring homes to create a harmonious community. The gentle sound of the river and the forested parkway along two sides of the development intertwine to create a peaceful setting for residents. A preplanned single-family neighbourhood on a no-through street, The Ridge at RiversEdge is home to 24 single-level ranchers/bungalows. There will be no two-storey homes located in this development. In addition, you'll always have your privacy in your own back yard. Your investment is protected by a registered Homeowner Schedule of Restrictions designed to enhance quality of life and increase the value of your home. Your RiversEdge Specialist is Realtor Art Meyers of Royal LePage in the Comox Valley. An open house is held from 1:00 p.m. to 3:00 p.m. every Saturday. For more information, call Art at 250.207.1879. Brando Construction has sold their show home at The Ridge and they have another new custom home under construction at The Ridge subdivision. Lawmar Contracting has also sold their show home at The Ridge in the Comox Valley on Vancouver Island. Lawmar Contracting has additional new homes under construction and one of the homes includes a secondary suite. Phase 1 at The Ridge includes 69 new home lots for sale, and most of the lots for sale feature mountain and ocean views. These new homes are located just off of Buckstone Road, near Comox Logging Road and Fraser Road, only a few minute drive from Comox and Courtenay. This subdivision is located on 77 acres and the zoning allows the homes to have secondary suites, workshops and detached garages and carriage homes. Select your new residential home lot and let Lawmar Contracting or Brando Construction, preferred builders, build your custom dream home. Lot prices start at $169,900. Driftwood Estates residential community with walk-on oceanfront lots for sale is located near Campbell River on Vancouver island, nestled between the Pacific Ocean and a natural park reserve. This private oceanfront community on Saratoga Beach is home to 14 lots, only four of which are still available. Driftwood Estates provides the perfect oceanfront location, lush natural surroundings, small-town charm with convenient access to amenities, and abundant recreational opportunities. 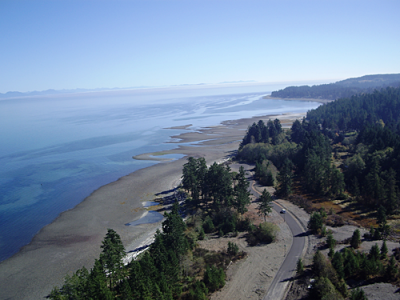 Driftwood Estates represents one of the last opportunities to acquire such a spectacular oceanfront lot on Vancouver Island. Set along the white sands of Saratoga Beach, these walk-on residential building lots feature stunning views of the surrounding ocean and snow-topped mountains. 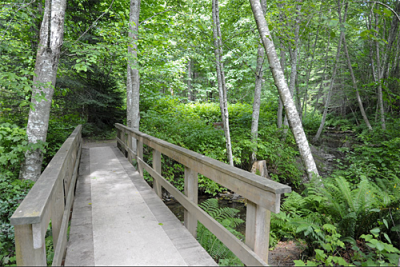 You'll access your property via a private road, behind which is a 10-acre natural park featuring fish-bearing streams and picturesque 40-foot-tall fir trees. When you build your custom dream home on one of Driftwood Estate's oceanfront lots, you'll embrace a truly unique lifestyle. Step outside your door to a natural untouched beach of pristine white sand. Breathe in the saltwater air as you watch seals, sea otters, and birds frolic in the ocean. Enjoy eagles and herons in their natural habitats and wander through lush green forests just steps away from your property. Driftwood Estates is set in an idyllic natural Vancouver Island location, but still boasts easy access to amenities. A medical clinic, grocery store, gift shop, liquor store, video store, coffee shop, and nine-hole golf course are only five minutes away, while the larger communities of Campbell River and Courtenay and Comox are within easy driving distance. For the avid boater, Pacific Playgrounds Resort is just a short distance away. It has an upgraded sheltered marina with a variety of boat slips for lease, including ones capable of housing boats up to 45 feet in length. Numerous golf courses are located within 25 minutes of Driftwood Estates, as is Mount Washington. Phase 1 of Driftwood Estates is now sold out and only four lots remain in Phase 2. Priced at $479,000, these prime oceanfront lots won't last long. For more information on Driftwood Estates, call 1.855.886.2121 or visit their website. customer-controlled electronic gate for security, ease of access, and access to your unit after business hours or on the weekend. These Nanaimo self-storage rental units range from 5x5x5 feet to 20x30 feet, so you’ll find the perfect spot to store almost anything, including furniture, household items, business equipment, house contents, boats, vehicles, and RVs. 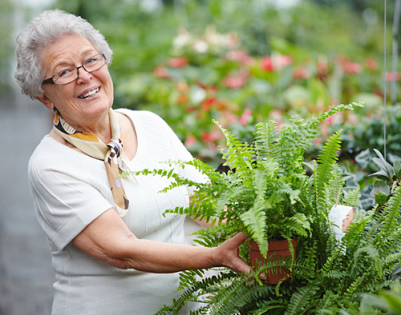 Friendly and helpful resident managers are on site, and units are available seven days a week. With drive-up doors on units 10x10x10 feet and larger, your storage locker is always accessible. When you need additional short-term or long-term storage space for your home or business, AA Mini Storage Nanaimo is your "go to" storage facility in Nanaimo. Call 250.758.7422 for more information, availability, and pricing. The Ridge in South Courtenay is a newly developed subdivision on Vancouver Island. The Ridge allows discerning buyers the versatility to choose a residential lot and to add a workshop, carriage home, or secondary suite. Select lots will feature panoramic ocean and mountain views, with lot prices starting at $169,900. When you choose to build your new custom home at The Ridge, you have an opportunity to add a secondary suite. These secondary suites are perfect for having a separate living space for family or tenants while maintaining privacy for you and your family. A carriage home is another building option at The Ridge. Carriage homes are completely detached from the principal dwelling and can provide living accommodations for a family member or tenant. They're self-contained units with a bathroom, bedroom, and kitchen. Carriage homes can also be rented to earn additional income. Located on Buckstone Road, near Comox Logging Road and Fraser Road in the Comox Valley, The Ridge is just minutes from downtown Courtenay, shopping, restaurants, Crown Isle Resort & Golf Community, Mount Washington, and the Comox Airport. This picturesque 77-acre subdivision will be built in five phases and include expansive walking trails throughout the community. Preferred builders at The Ridge include Lawmar Contracting and Brando Construction. For more information on building at The Ridge, email Bruce Clapham at theridge.bruce@mail.com or phone 250.650.8588. The Comox Valley is located at the midway point of the east coast of Vancouver Island. 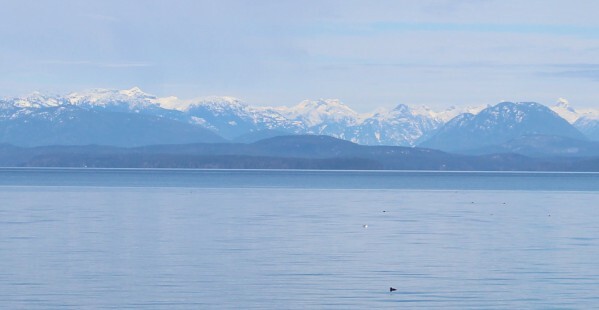 Stunning scenery surrounds the community, with the Comox Glacier crowning the Beaufort Mountains to the west and the calm waters of the Georgia Straight to the east. With more sunshine than Vancouver or Nanaimo, the Comox Valley enjoys mild winters and warm, dry summers.